Phoenixes, New Audiobooks, and…an Odd Take on Hamlet? While the weather is cold outside, words are warming up in my e-reader. Today is release day for PHOENIX FALLING, the final book in the Wildlands series! a wickedly enchanted land founded generations ago by the alchemist, Lascaris. Petra may be adept when it comes to the uncanny, but as a reasoned geologist, Petra still can’t fathom the wildfires suddenly engulfing Yellowstone National Park, or why Gabe claims to have seen the sky explode in flames. The answers could lie in the past. PHOENIX FALLING is available now from HarperCollins, Amazon, Barnes & Noble, Books-A-Million, and Kobo. 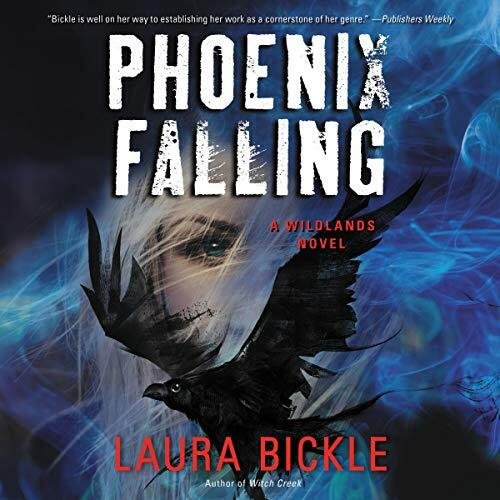 And even more exciting… PHOENIX FALLING and the rest of the Wildlands books are now available in audiobook form, narrated by the amazing Nichol Zanzarella. Check out the full series now available from Audible.com. And last but not least, something whimsical. My husband dared me to retell the story of Hamlet using Bob’s Burgers GIFs. The results are here, and you may judge for yourself whether or not I have a future as a teacher of classic literature. That’s all for now! Stay toasty, friends! I’m over the moon – Publishers Weekly has given PHOENIX FALLING a starred review! Phoenix Falling is the last book in the Wildlands series, and it’s available for pre-order now. Who let that dinosaur into the house? RAWR! Today is release day for PAWNED! PAWNED is available from Amazon as a paperback, and Kindle, Barnes and Noble, iBooks, and Kobo as an ebook. If you want to hang out with Bert the dinosaur-shaped demon for his release-day celebration, he’ll be on a virtual book tour with PAWNED, courtesy of Bewitching Book Tours. Summer is nice and toasty here…the perfect season to announce two new pre-orders! First up is PHOENIX FALLING, the next installment in the Wildlands series. PHOENIX FALLING is available for pre-order from HarperCollins, Amazon, Barnes & Noble, Books-A-Million, and Kobo. PAWNED is available for pre-order from Amazon, Barnes and Noble, iBooks, and Kobo. The dog days of summer are upon us…but so are the dragon days! Release Day for WITCH CREEK! Today is release day for WITCH CREEK! 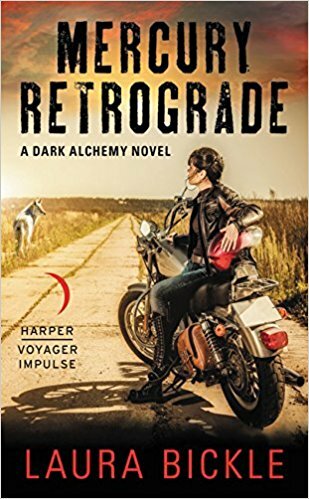 Bring on the evil mermaids, undead cowboys, and alchemical weirdness…because I like that stuff. I hope you will, too. Gabe is being held prisoner by the sheriff and heir to the ranch, Owen Rutherford. Owen is determined to harness the power of the Tree of Life—and he needs Gabe to reveal its magic. Secretly, the sheriff has also made a pact to free a creature of the underground, a flesh-devouring mermaid. Muirenn has vowed to exact vengeance on Gabe, who helped imprison her, but first . . . she’s hungry. Once freed, she will swim into Yellowstone—to feed. With her coyote sidekick Sig, Petra must descend into the underworld to rescue Gabe before it’s too late . . . for both of them. WITCH CREEK is available now from Amazon, Barnes and Noble, Books-A-Million, and HarperCollins. NINE OF STARS On Sale for .99! For a limited time, NINE OF STARS is on sale for .99! Pick up your copy from HarperCollins, Amazon, Barnes & Noble, Google Play, iBooks, or Kobo. From critically acclaimed author Laura Bickle (Dark Alchemy) comes the first novel in the Wildlands series, NINE OF STARS. 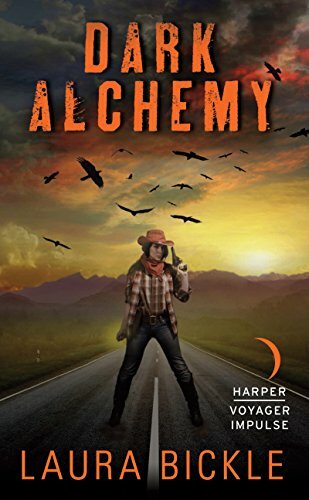 Longmire meets Patricia Brigg’s Mercy Thompson in this exciting new series that shows how weird and wonderful the West can truly be. The new sheriff in town, Owen Rutherford, isn’t helping matters. He’s a dangerously haunted man on the trail of both an unsolved case and a fresh kill – a bizarre murder leading him right to Petra’s partner Gabriel. And while Gabe once had little to fear from the mortal world, he’s all too human now. This time, when violence hits close to home, there are no magical solutions. WITCH CREEK, the next installment in the Wildlands series, releases February 27…pre-order your copy here! Sparky’s back! The wonderful folks at Subterranean Press have released ASHES as a stand-alone ebook! This story was first published in A Fantasy Medley 3.